Halo is the world’s greatest FPS…is something you’d say if you wanted to start an endless argument amongst a group of irate gamers. We don’t really fancy doing that, so we’ll just say that it’s a classic, and that we’re incredibly excited about the release of The Master Chief Collection – which collects remastered versions of the 4 main Halo games – today. We’re so excited, in fact, that we’ve decided to take a bullet-riddled trip down memory lane and pick out our favourite moments from the series. Enjoy, and share your own favourite moments in the comments! Ah, how we long for the innocence of 2001. After years playing tightly-packed maps on Unreal Tournament and Quake III, stepping out onto the first Halo (that’s the space station the game is named after) in Combat Evolved was a revelation. Look at all that space you have to run around in! Holy cow, the floor rises up and loops over my head! Of course, the first Halo’s sheer size was only part of the fun. It was also Halo: Combat Evolved’s main plot point, leading to one of the greatest video game twists of all time as the space station’s true nature is revealed. Master Chief and the Covenant, an evil race of space aliens, have had many tussles over the years (and a couple of uneasy alliances too), although this is undoubtedly the best moment of their conflict. In case you can’t watch the video above, here’s what happens: the Covenant have planted a huge bomb on a human space ship. Instead of panicking or trying to disarm it, as one would normally would, Master Chief takes an entirely different tack: he rides it out into space and plants it on a Covenant ship. It’s everything that’s brilliant and ridiculous about the Halo franchise in 2 minutes. You’re halfway through Halo: Combat Evolved and you think you’ve got it all figured out: run around, blast a few aliens and figure out what that big ring-shaped space station does. Then, the game throws a massive curveball at you in the shape of the Flood (cheerily described as ‘the only race the Covenant fear’), a charming group of space critters want to take over the galaxy by turning everyone into zombies. Halo suddenly becomes a survival horror game and you’re on the back foot again. The Flood returned in the sequels to similar effect, although nothing beats the first time you encounter them. After hours of blowing up aliens, Halo 3’s ending is unexpectedly unstated. Master Chief and Cortana (who, incidentally, would later go on to become Microsoft’s equivalent to Siri – never see that guy fighting evil aliens, do you?) are adrift in space on half a spaceship, with no-one to save them. Chief decides to go into a deep sleep, asking Cortana to ‘wake me, when you need me’. It’s an unexpected ending to a brilliant trilogy, and a fitting farewell for original developers Bungie too. Halo arguably kickstarted the online console FPS craze, but the best multiplayer experience came from getting a few mates round, hooking up your Xboxes and playing Halo all night. As much as we love Call of Duty, sitting on your own while 12 year olds scream expletives at you doesn’t quite match up. 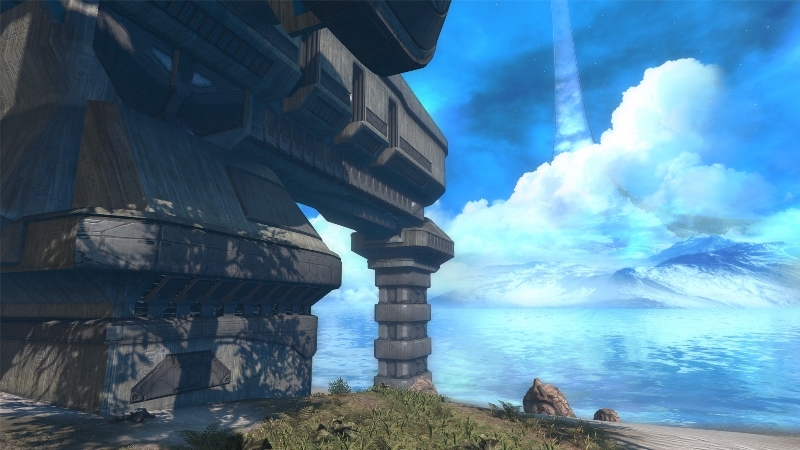 What are your favourite Halo moments and memories? Share them us in the comments. If you’re planning to buy The Master Chief Collection, why not sell your current copies of Halo with musicMagpie?